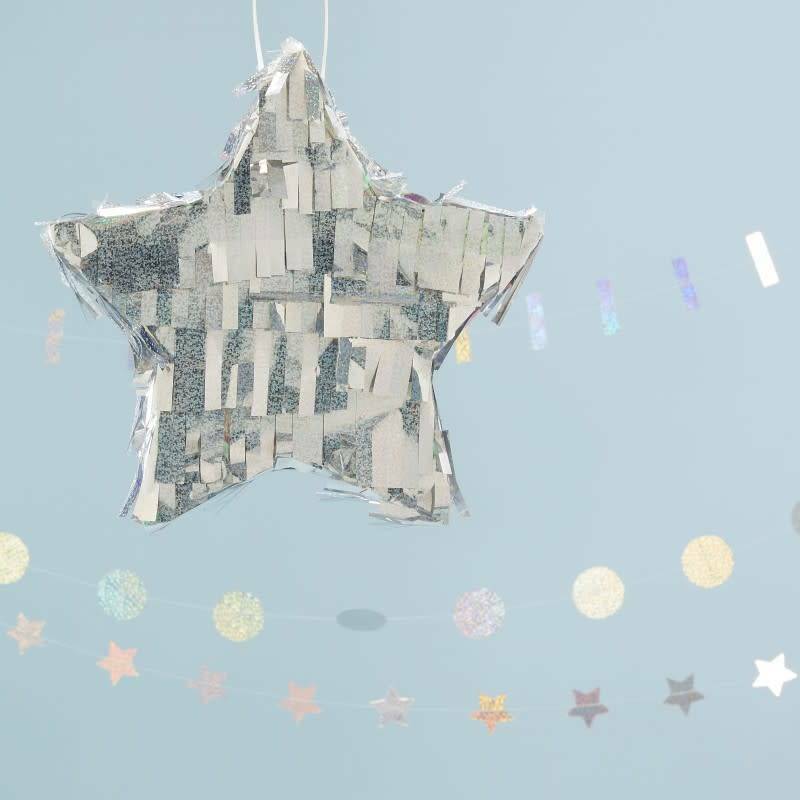 Our 'Star Piñata' will be a magical highlight to your celebrations. 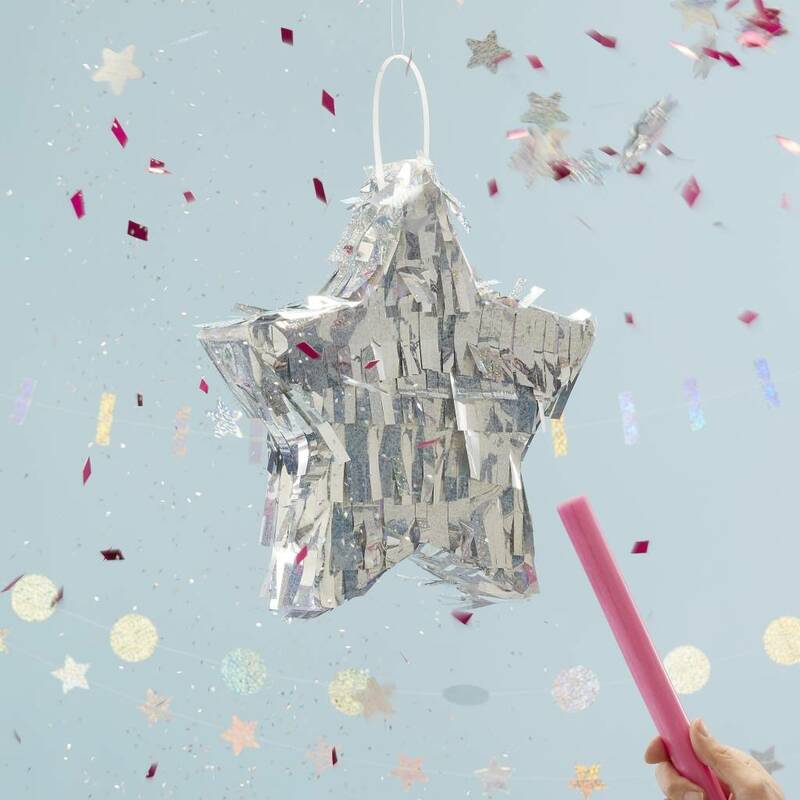 Children and adults alike will love our Holographic Star piñata. The shimmering holographic colours makes for a fun feature to your party. Hang the piñata in an open space so you have enough room for people to hit the piñata and release the treats. Remember to fill with tasty sweets as these are not included! 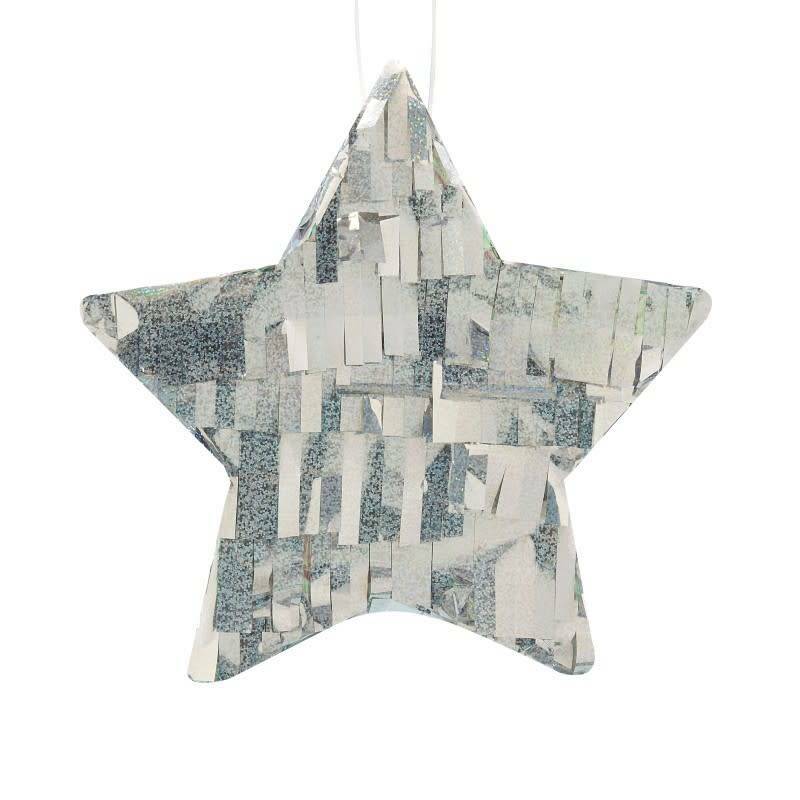 Each pack contains one star piñata measuring 30cm (H)30cm (W) and 5cm (D).